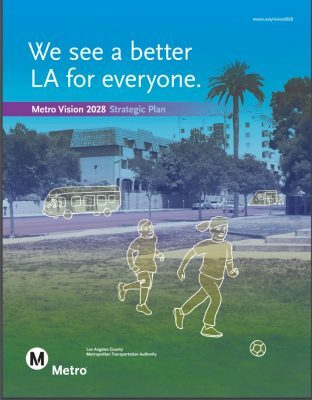 LA Metro has developed a comprehensive strategic plan for the next decade that will extensively improve Los Angeles’ local modes of transportation and tackle the ever-growing vehicle miles traveled (VMT) that plague the residents and commuters of this city in the form of gridlock, long commutes, air pollution, health impacts of a too-sedentary lifestyle, and more. 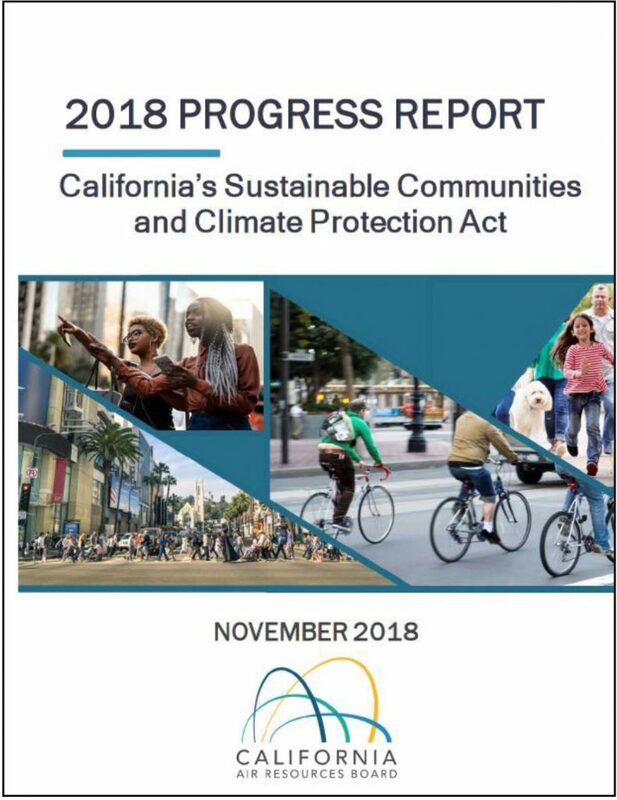 Metro plans to issue periodic reports to the public on the progress toward these goals, as well as review the Plan in its entirety every 5 years. 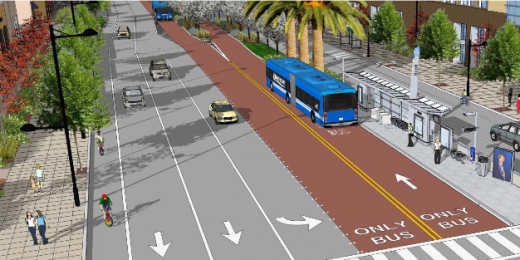 Santa Clara Valley Transportation Authority’s rendering of dedicated lanes for bus rapid transit on El Camino Real. Santa Clara VTA. (2015). The Bus Rapid Transit component will split the next 10 years into two 5-year segments to strategically address the different steps necessary to achieve this goal. The first 5 years will focus on identifying and implementing measures, such as enforcement of exclusive bus lanes, that will achieve a minimum average speed of 18 mph on rapid transit routes. The next 5 years will be a concerted effort to strategically convert the most congested corridors into Bus Rapid Transit (BRT) corridors to establish a network of high-frequency, high-capacity bus service across LA county. These corridors will be implemented in partnership with local municipalities since these are the individuals who control roadways in most instances. Success stories of BRT corridors can be seen all over the world, and these projects have demonstrated that dedicated bus lanes are a powerful solution that doesn’t take years to deliver. One such example is Boston’s Washington Street bus lane. What was supposed to be a 4-week experiment has now become a permanent installation to Boston’s mobility after it was proven that bus travel times dropped 20 to 25% during the morning rush as a result of the dedicated lane. Los Angeles itself has had success with implementing bus rapid transit. Along two of the region’s most heavily-traveled arterials, Wilshire Boulevard and Ventura Boulevard, bus service was improved by adding a BRT line with increased frequency, fewer stops and traffic signal priority. These improvements decreased bus travel time by 29 percent and 23 percent respectively, and resulted in a 40 percent and 26 percent increase in ridership. 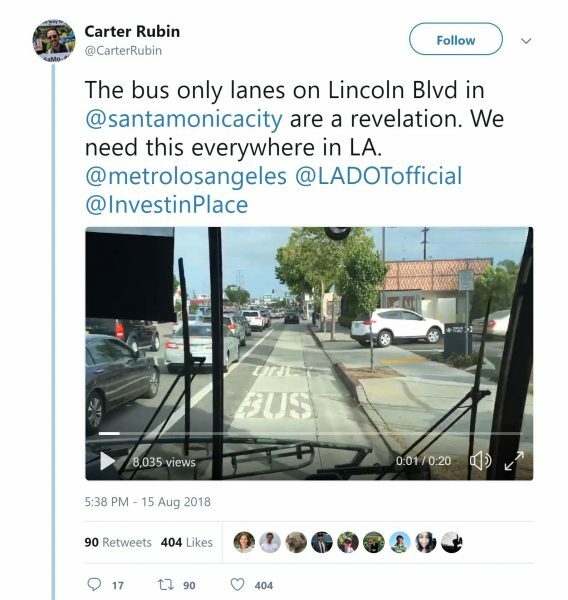 Carter Rubin, the Mobility and Climate Advocate with the Natural Resources Defense Council, in a popular tweet called the bus only lanes on Lincoln Boulevard in Santa Monica “a revelation” that need to be “everywhere in LA.” It should be lauded that Metro aims to join the ranks of BRT cities with the plan it has put forth. To get a sense of where these Bus Rapid Transit lines might go, see the Transit Enhanced Network map below. 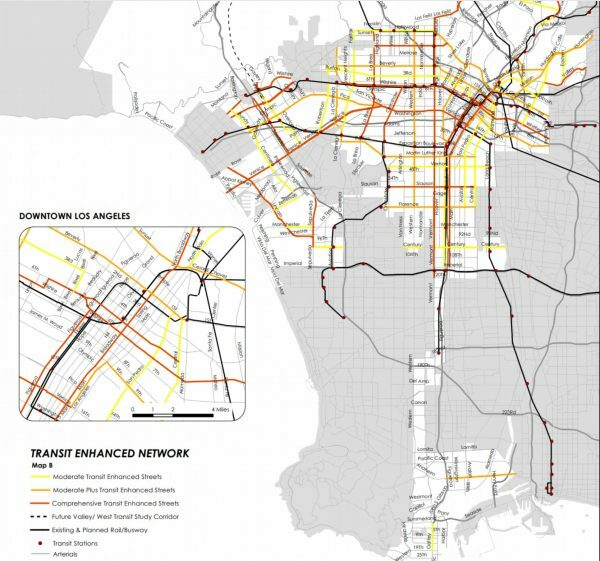 The orange lines are the transit enhanced streets that Metro intends to implement throughout the LA region. 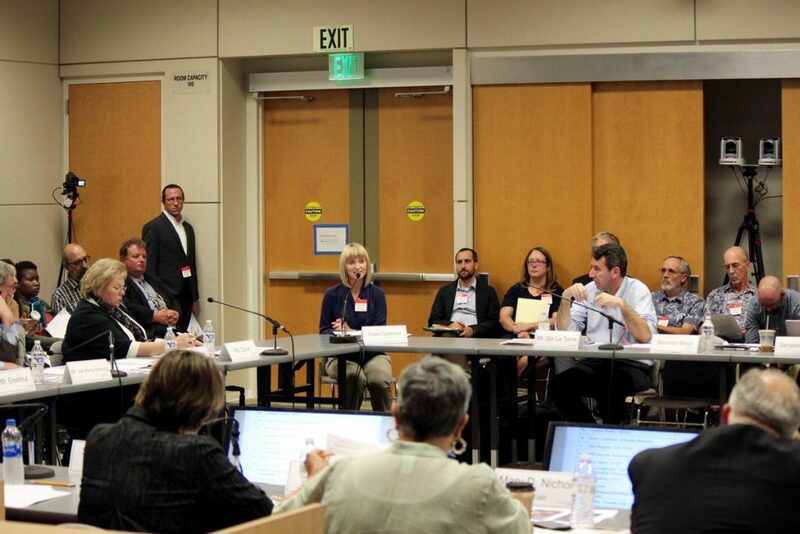 Efforts such as this address the biggest challenges that affect mobility for L.A.’s residents and commuters. 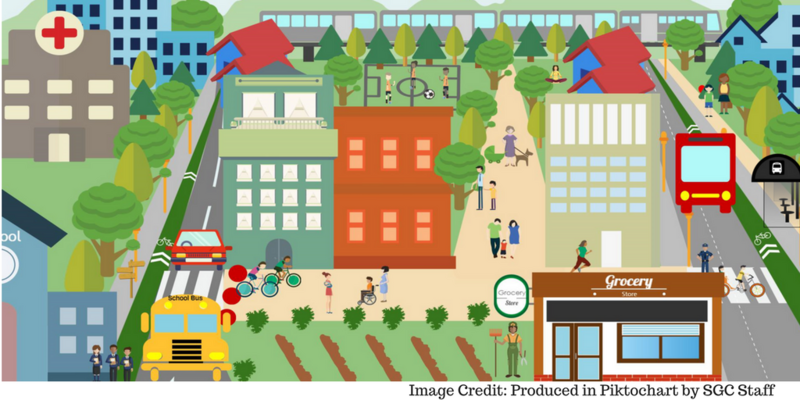 This is a diverse region that has an equally diverse set of needs, and improving transit not only decreases traffic woes, but it also has the potential to increase equity in areas such as affordable housing. The next 10 years of transportation development that Metro has set forth has great potential to improve the lives of many Angelenos. 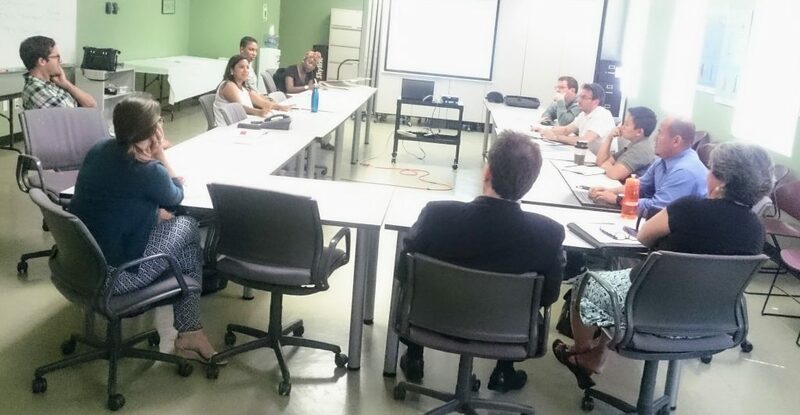 It will be imperative for community members and key stakeholders to remain active and engaged to guarantee that Metro remains pressured to truly implement these changes.